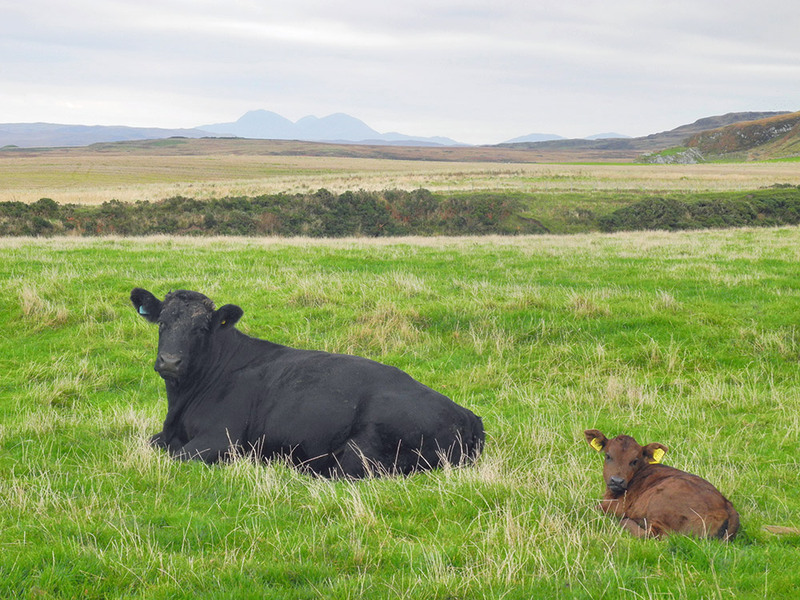 A cow and her young calf resting in a field at Kilchoman, the Paps of Jura visible in the distance. This entry was posted in Cloudy Weather, Landscape, New Post and tagged cattle, Islay, Kilchoman, Paps of Jura, Rhinns of Islay by Armin Grewe. Bookmark the permalink.